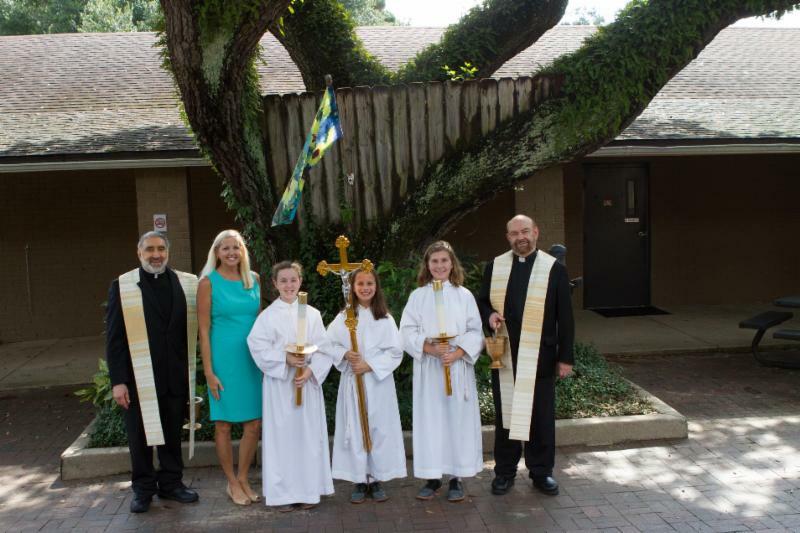 What a wonderful beginning to the school year we have had at Corpus Christi Catholic School! We are committed to working with our parents in a partnership to carry out the mission of our school, and parent communication is an aspect of this partnership. 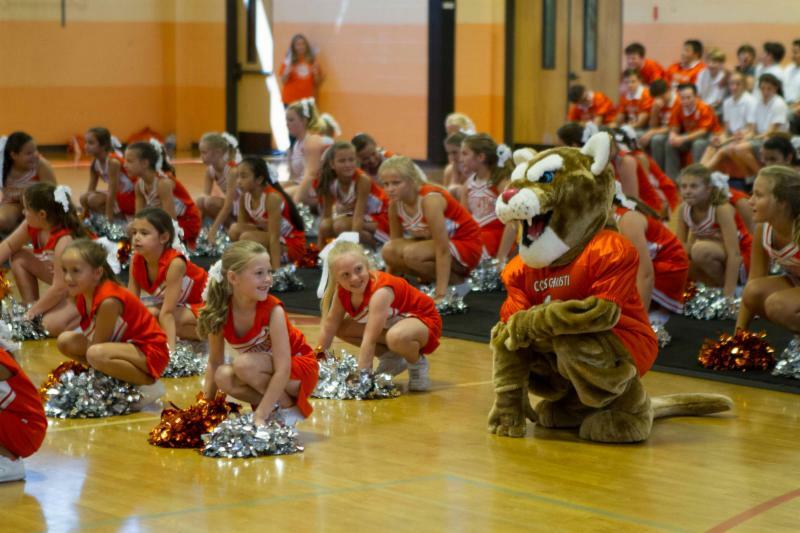 The school's primary way to communicate with parents is through our “Cougar Connection’’ electronic newsletter. This newsletter is sent electronically on a biweekly basis. You also can find archived links on our school website. 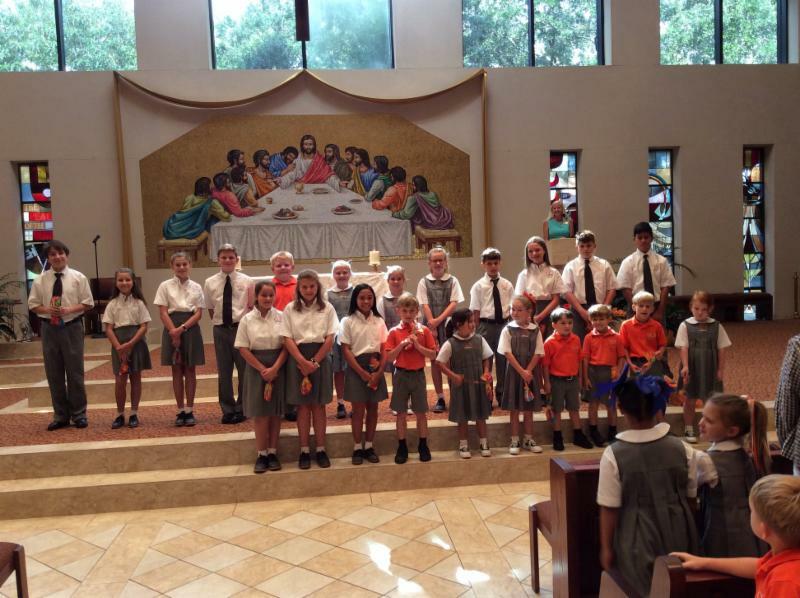 School Mass, Classroom Blessings, Birthdays and More! 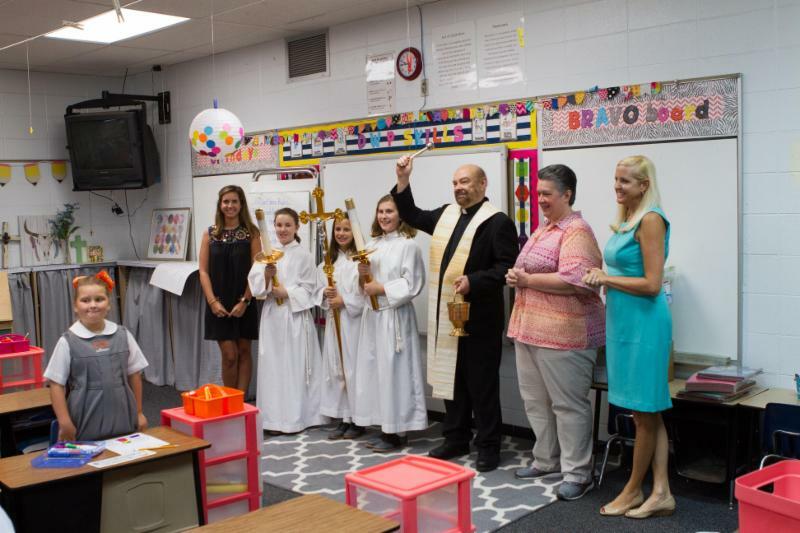 Last Tuesday, we celebrated our first school Mass together, followed by Father Zoghby and Father Boudreaux visiting our school and offering classroom blessings. It was a beautiful morning. Parents are always welcome at our school Masses, which are held every Tuesday at 8:15. In keeping with the Catholic social justice theme of the Life and Dignity of the Human Person, we believe that every life is precious. 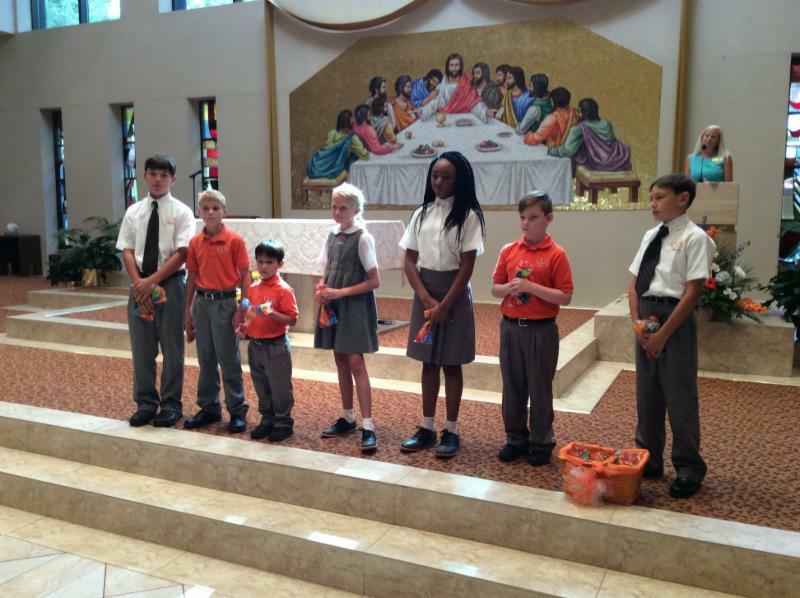 We will continue to celebrate that by honoring our students' birthdays every week after Mass. Students will be called to the front and we will sing Happy Birthday to the group. Last week we honored August birthdays through August 25. This week we will recognize students celebrating birthdays August 26 - September 1. If your student has a summer birthday, no worries! They will be recognized before the year is over. In addition, this week after Mass, we will recognize students who received academic honors during the 4th quarter of the last school year. Our Back to School Open House is scheduled for this Tuesday, August 28 . 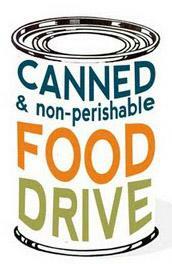 It will begin at 6:00 p.m. in the Banquet Hall with a brief meeting. The rest of the night will be divided into two 25 minute periods. ● Period 1: After the group meeting, you will be able to visit your child’s classroom for a brief meeting with the teachers. Teachers will provide you with information concerning class policies and procedures. Middle school parents will remain in the community center for the first period, and will have a presentation together. Middle school teachers will only present this information during the first session, as they will be in their classrooms during the second session. ● Period 2: After 25 minutes, the bell will ring and if you have more than one child, you may visit the next teacher. Teachers will repeat information from the first session. The 2018-2019 parent-student handbook has been updated and may be found on our website. You may also find it in the files section of Rediker. Please take the time to read through the handbook and discuss it with your children. There is a handbook acknowledgment form that must be signed by each family, stating that you have read the handbook and that you and your child agree to abide by the provisions, rules, and regulations contained therein. The form is below, and it will also be sent home with the youngest student in each family. Rediker is the student management system that is used by all Archdiocesan elementary schools. You can access Rediker to see your student’s grades and other important information. An electronic calendar can be found on the Rediker home page. Please refer to it for any upcoming important dates and events. If you have not received your Rediker login information, or need assistance logging in, you may email me at kmartin@corpuschristiparish.com and I will be glad to assist you. Valley will also be providing breakfast options for the students each morning in the courtyard beginning at 7:30. Items are available on a cash only basis. 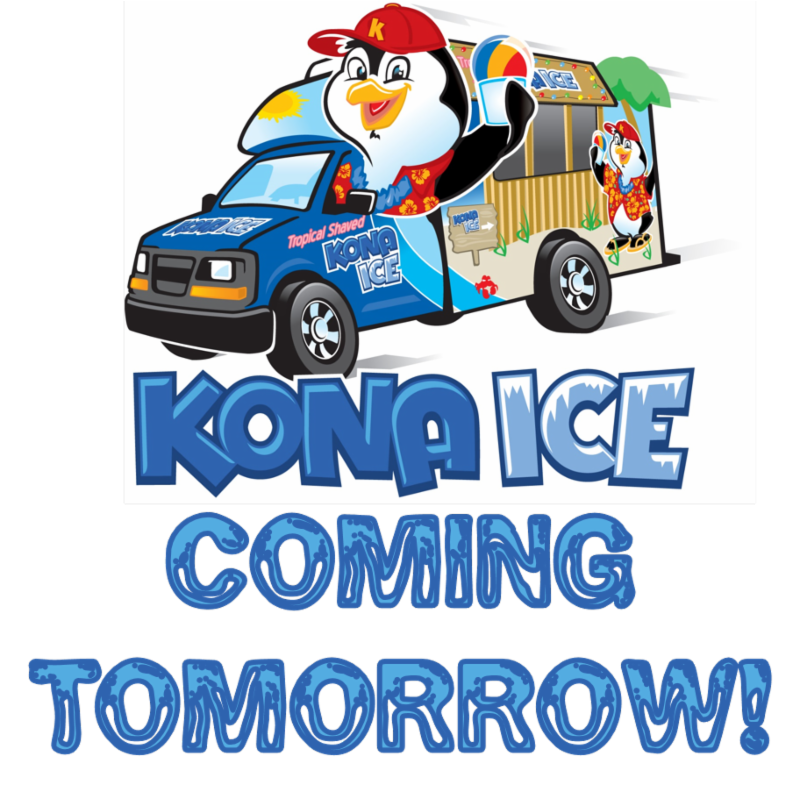 Don’t forget that Kona Ice will be here on Tuesday during lunch waves. 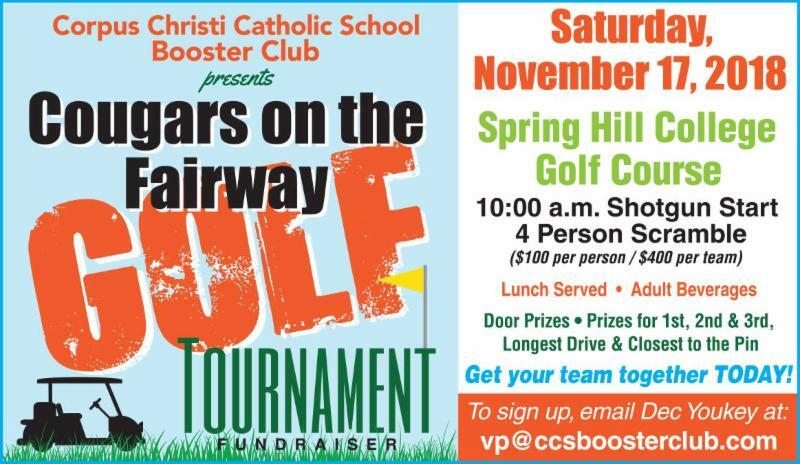 All proceeds benefit our school library! Checks for this very worthy cause are also accepted. Thank you for your generosity. 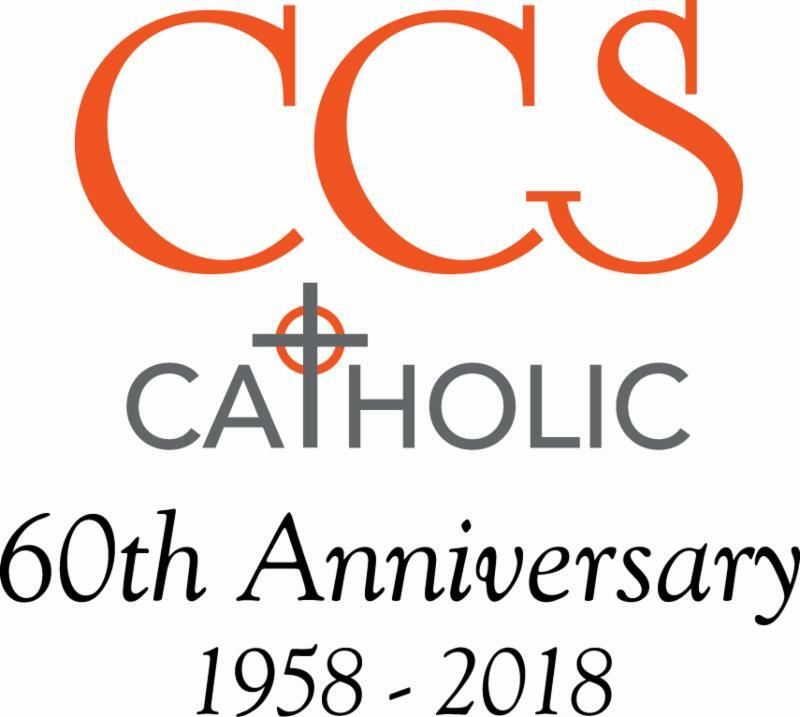 All adults who plan to volunteer in any capacity at Corpus Christi Catholic School or Parish must receive training in the Child and Adolescent Protection Policy (CAPP.) We will offer CAPP training on Monday, September 10 at 6:00 pm . The class will be held in the adult education room in the Community Center. 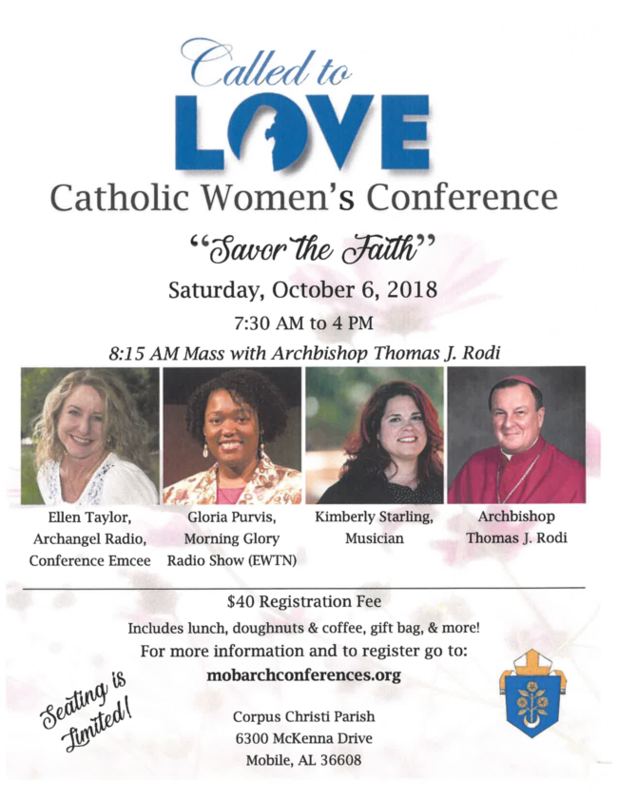 If you are unable to attend the September 10th session, monthly sessions are held at St. Dominic Catholic School on the fourth Wednesday of each month. For parents who were trained in previous years, you may go to www.mobarch.org to access the online training. You will have to read two short articles and pass a quiz. Once you have passed the quiz, the school will be notified that you have been retrained. The training must be completed by October, 31st. Remember, you must receive the CAPP training to attend a field trip with your child or volunteer in any way. 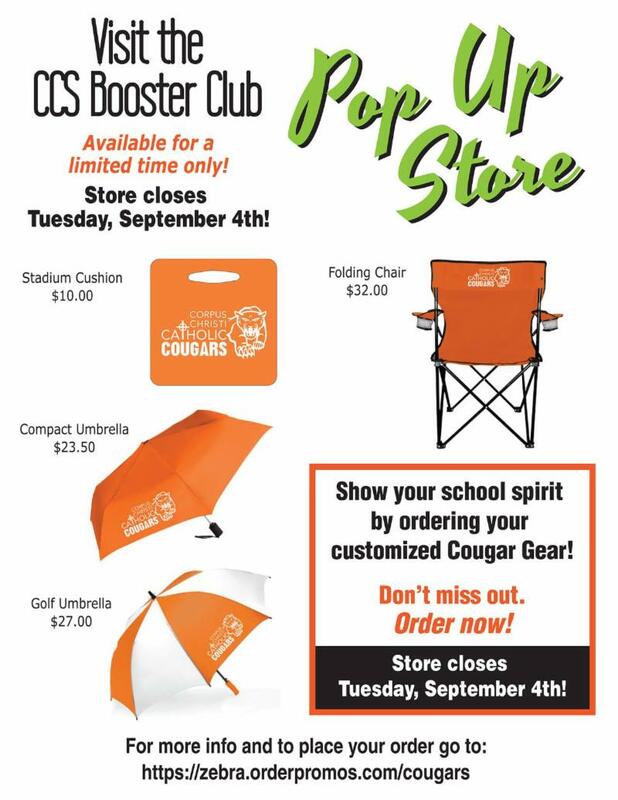 Store closes on Tuesday, September 5th! 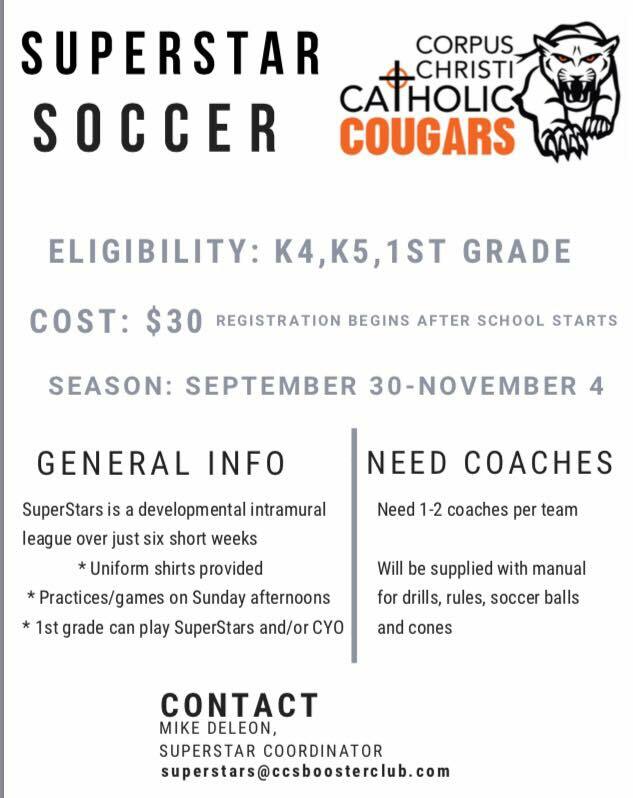 We will celebrate our CYO fall sports with a pep rally on September 21 at 2:00. Please join us! Our new counselor, Emily Smith, was very busy this first week of school getting to know all of our students. Please see an attached letter from her. We will celebrate Grandparents Day on Tuesday, September 25th. We will begin with our school Mass at 8:15, followed by a reception in the banquet hall. Afterwards, grandparents are welcome to tour the school and visit their grandchildren’s classroom. We look forward to seeing all of our Grandparents and Grandfriends on this day. In the event of the threat of severe weather that could lead to an early dismissal, please monitor the local news. It is important to remember that Catholic Schools do not always do the same thing as public schools. If a decision is made for our schools, please know that you will get a phone call, email, and a text message through our student management program. Let’s pray that severe weather will not be a threat to us this school year. 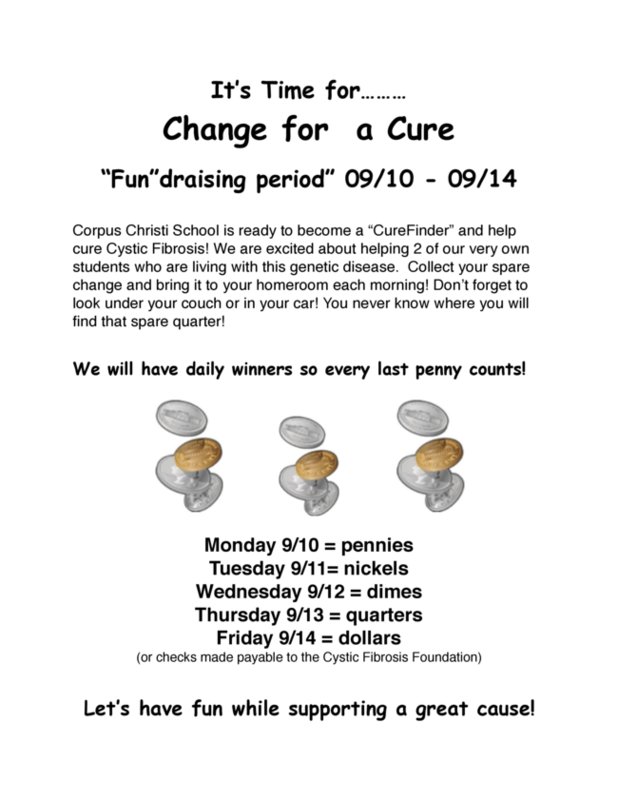 The complete September calendar can be found HERE.